The XtremeRange series of radio modules by Ubiquiti leverages our strong knowledge and experience gained from customer interactions, field performance evaluations, and lab research; and improves upon the original and highly successful SuperRange series of high-performance 802.11 radio cards. 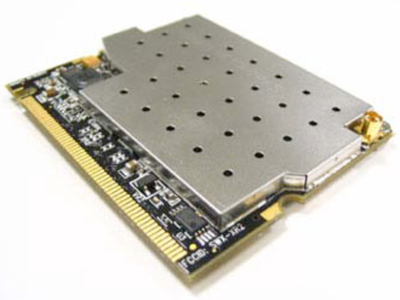 Atheros, 6th Generation, AR5414 chipset. The XtremeRange2 represents the first true carrierclass 802.11b/g-based 2.4GHz radio module specifically designed for mesh, bridging, and infrastructure applications requiring the highest levels of performance and reliability without compromise.